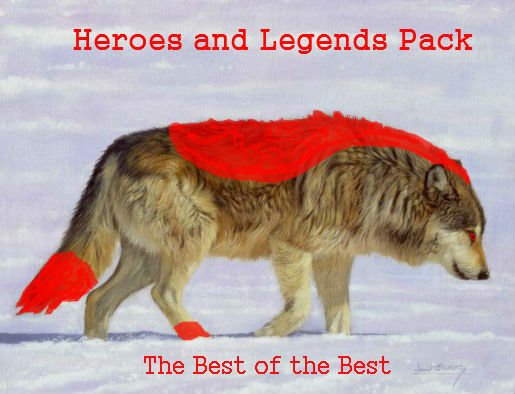 Heroes and Legends Pack :: Roleplay central :: Matchmaking! 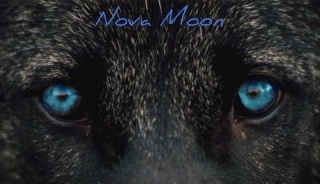 Sally and Nova Moon, this is your forum! Start roleplaying when you wish. Nova was tired, and not just physically, his mental state was to the point of mush. He hadn't slept much in the last few days with all that had happened lately. And with the Alpha pups born his job would get harder to do. He had arrived at the cliff named The Edge Of The World, it literally was since the drop off was straight down. You fall and you die. This was the place Nova laid down, looking around for a few minutes then he laid his head on his front paws and promptly dozed. His breath slowing until he was asleep. Sally liked it here. Something about the cliff made her feel calm and happy if she was troubled or upset. At the moment she was feeling quite confused and had come to the cliff seeking solitary and peace. Being a dog was hard and she sometimes worried if she would ever fit in with the wild wolves. At least back in the past she'd been with other dogs who'd looked at her as an equal and she stood a chance of making friends with, she'd even had a crush once...With a sigh she shook her head as she padded alongside the edge of the cliff undaunted by the sudden drop to her left until she felt her paws hit something and she tripped, her haunches narrowly missing the edge and she knew if they had gone over it would've dragged her whole body down before she could recover from the surprise. Stunned, she just lay there for a few moments before slowly turning her head to see what she had tripped over. A paw! That belonged to a wolf! She watched the male that was sleeping..or had been sleeping. She might've woken him up! Oh no, he was going to kill her. She frowned worriedly and opened her mouth hesitantly as if to say sorry. "Speech" - Thoughts - "Other's Speech"
Nova felt the foot collide with his and felt the object start to fall, jumping up quickly he looked around startled as he was trying to recover his sleepy mind and waking mind into one body. Finally he looked down to the husky that had tripped over him and calmed down slightly. The short nap and now adrinaline that flowed through his body make him feel energized. "You ok?" he asked as he looked at the young female. She was prettier close up, since all he had seen of her before was her rump and glances. She was the Lead Healer in the pack now, but for the life of him he couldn't remember her name. "Um I am sorry to say this but what is your name?" Before she could start saying loads of apologies, the male she had tripped over spoke and asked was she okay. "Oh, me? I'm fine! What about your paw, I didn't hurt it did I?" She asked worriedly, how terrible it would look if the Lead Healer injured her pack mates! She stared at the male in font of her, she could not remember seeing him anyway before as she had not been aware of his presence at the river when she'd been gaining acceptance and wondered curiously who was he? His pelt was black and white and his eyes were a nice cyan blue type colour, hopefully he was friendly, the more friendly wolves she could find the better! He seemed friendly, he had asked her if she was alright and all. "It's fine, my name's Sally! I don't really like the name though" She added in the last part quickly in case he found her name silly, but it was true, she didn't like the name Sally but it had been given to her and though she didn't like it much, she knew it was cause too much confusion to change it. She sighed before shaking her head and asking brightly "So...who are you?! I don't remember ever seeing you before"
Notes: Sorry for taking so long to reply!